Afgooey is a Marijuana strain comgin from a famous clone from Northern California from Strain Hunters. It is a spowerful and vigorous plant, it thrive well in aany kind of medium and provides a cerebral effect that can be characterized as confused, impetuous and almost chaotic. Initially, Afgooey existed only as a clone. However and at Green House, we are the first to present its feminized seeds, by reversing and crossing it with itself (S1). Afgooey is an effective medicinal alternative for treating multiple sclerosis, artitis, chronic pain and migraine. It can also be used as a drug substitute such as bipolar agents, anti psychotics, anxiolytics and anti-inflammatory pills. The plant of Afgooey powerful and vigorous. The leaves are thick and green with overlapping flounces. It has short internode distances developing thick branches, typical of this strain. Afgooey is not sensitive to high levels of EC and is suitable for intensive cultivation systems like Sea of ​​Green or SCROG. It thrive well in any kind of media and can be cultivated outside perfectly. 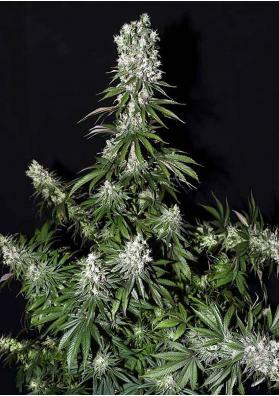 It produces pear-shaped, compact, dense and medium to large buds completely covered with a thick layer of resin. The effect is fast-acting and durable. The taste is reminiscent from an old-school Afghani with a fruity touch. As said, it is fruity at first but gradually becomes sweeter with hints of orange, lemon and tropical fruits. If you are interested in Marijuana with high medicinal potnetial, easy to grow and cheap, Afgooey is your nest option.